Earth is surrounded by 3/4th of drinking water but sadly only 3 % of water is safe to be drunk for drinking purposes. Research reports indicate that most sources of drinking water are contaminated with dirt, heavy metals, types of microorganisms etc. India is the biggest storehouse of ground water but still a major chunk of the population does not have access to pure clean drinking water. As per a world health report India is a country where maximum number of people do not have access to pure clean drinking water. Around 50 % of the population have access to drinking water, but in the rural population it comes down to 63 %. What is worse is that 5 % of the population do not have access to drinking water. If you consume contaminated water it can pave way for sickness. The precise fact is that drinking water is a source of pollution. In the state of Delhi, the tap water is polluted but the Jal board may have a different side ofthe story. 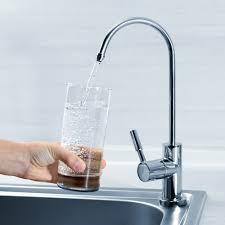 As per reports emerging from consumer voice, the tap water that is found in Delhi without any water purification system is suitable for drinking. But India media suggests that 70 % of water that comes to our homes is not deemed fit for consumption. The Municipal Corporation as part of its research found out in 7 out of 10 household’s water was not up to the desired mark. The reasons paving way for water contamination? A major environmental hiccup is water pollution and the main reason for its emergence in a country like India is untreated sewage. In addition another source of population would be non-regulation of small scale industries. As per a survey report of 2007, the main reason of water pollution in India is due to untreated sewage water which is the main source of surface or ground water in India. If you dump litters and solid waste on the water bodies it also goes on to cause a major chunk of water pollution. Varied substances do take a certain amount of time so that it degrades in water and has an impact on aquatic animals along with plants. Though there are various reasons for water contamination in our country, but both of them account for the most. What would be the remedial measure? If you drink contaminated water it paves way for various water borne diseases. Estimation is that nearly 38 million people become victims of water borne diseases on a yearly basis. The main cause of any waterborne problems is consumption of contaminated water. Water purifier is a scarce commodity in most rural houses and 74 % of them do not have one even at their home.